At iVillage we’re passionate about supporting Australian parenting bloggers. That’s why we’ve created iBlog Friday. It’s a chance for bloggers to introduce their favourite post of the week to iVillage readers. Lisa Baker of Little House Inspired takes us through the painful experience of losing a baby she wasn&apos;t sure she wanted in the first place in her post, So there was another baby. And then there wasn&apos;t.
I knew pretty much straight away that I was pregnant again. I could sense all the subtle changes. I was doubtful though, even I didn&apos;t think I could fall pregnant three times in a row, first try each time. But 10 days later that familiar faintest-of-faintest lines started to appear on the first of many home pregnancy tests. I think I did about 15 before feeling confident enough to go to the GP and get the process started. I was about 4+4 at that visit so when I did the pee test and it was barely visible, the GP seemed a little doubtful that I was pregnant. And then she got my blood test results. My HCG levels were only 35. I didn&apos;t know what that meant then as I had never known my number before. I had never needed to know. But apparently it wasn&apos;t a good sign. Susan Taylor of One Woman Circus takes us through her more unusual discoveries about motherhood in her post 8 things I&apos;ve learned since becoming a mum. There are many things people tell you about parenthood before you join the club. Usually it&apos;s tips, stories and sage advice from family, friends and colleagues who have been there themselves. You get given so much information from everyone covering everything you can possibly think of, but even then it&apos;s not enough - you&apos;re still in for some surprises. Keri Arkell of Awesomely Unprepared explains why silly things in life deserve more attention in her post The silly things are so important. Sometimes with the challenges that can be faced when raising a toddler, combined with the fatigue and other adult life stresses, it can be hard to remember the positives and take the time to appreciate the silly little things. It’s these silly things that are my sanity savers. The things that keep me going and make my job as a stay at home mum so worth it. These silly things stop the boredom in its tracks, make my fatigue melt away and remind me to look at the world in new ways. If a toddler can teach you anything, it’s that the world is a wondrous place. These silly things make me laugh from the belly or smile until my cheeks hurt. They remind me not to take life so seriously and to stop being a grumpy bum. Kellie Turtu of Mama Pyjama wants to focus on only the positive side of parenting this week in her post The Up Side. Rebecca Bowyer of Seeing the Lighter Side of Parenting culling her sources of parenting advice in her post Burn the Baby Advice Books. I’m going to start a bonfire: I’ve decided to burn all my Baby Advice Books. I was a strong believer, before I actually became a mother, that modern society, with all our whizz bang scientific methods and medicine, would surely have come up with a failsafe formula for success on child sleep. So I read and I studied and I spoke to experienced parents and I felt confident that I had learned the formula by heart. Lisa Wilson of Two Point Five Kids explains why men and women are just different in her post "Equality doesn&apos;t equal "same". I have been doing this blogging caper for just under two years now and the best responses I get from my audience, both male and female, are my posts where I am pulling my hair out from something my husband invariably didn&apos;t do because he just didn&apos;t notice it needed doing. You all nod your heads, laugh out loud and generally agree that men are douches and are indeed from Mars. They are NOT good at multitasking, they couldn&apos;t give a crap that there are 26 different shades of blue to choose for painting the baby room (just choose one already) and you honestly have to point out something that is right in front of their faces, like the rubbish that needs taking out or a pooey nappy that needs changing. So, if they are like this at home, what makes you think that Men and Women are the same in the workforce?? Kathryn Boyde of Katzrambles triees to come to terms with her husband&apos;s new role which will require him to be away for days at a time in her post Damsel in Distress. When I think of the money he will make, the debts we could pay off and the holidays we could save for – I feel joyful and relieved. However, when I contemplate the reality of him not being here, these feelings quickly change to anxiety and panic. Read the rest of Kathryn&apos;s post here. 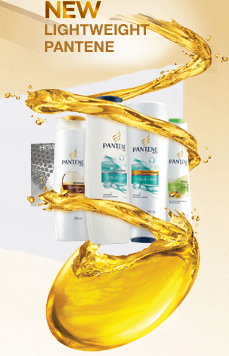 This week&apos;s winner will win a fabulous Pantene Prize Pack. The winner will be announced on Monday and published.